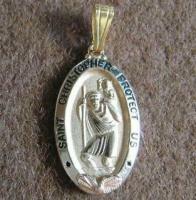 -Name: PARANORMAL SPIRIT TALISMA TOTAL PROTECTION POWERFUL ENERGY FOR MIND, BODY AND SOUL. 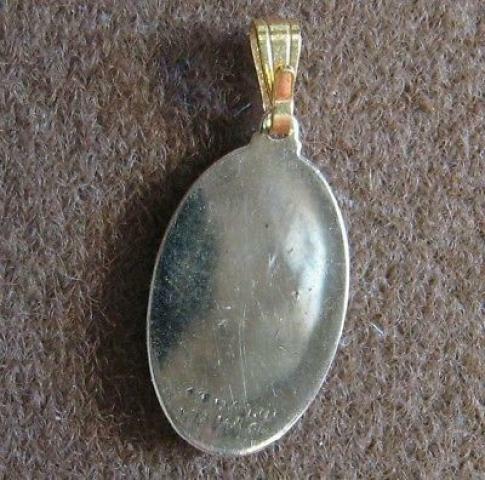 -Genuine gold pendant Amulet magical manifestation. 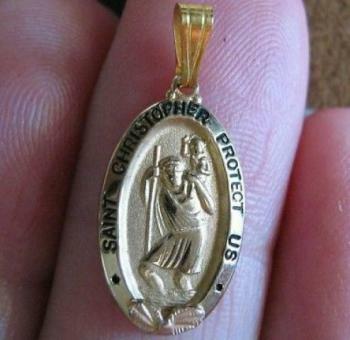 -Tonight I offer you a wonderful talisman / amulet / pendant (personally I prefer amulet, but it can be any or all of these) which I think is vintage although I am not exactly sure of its age. 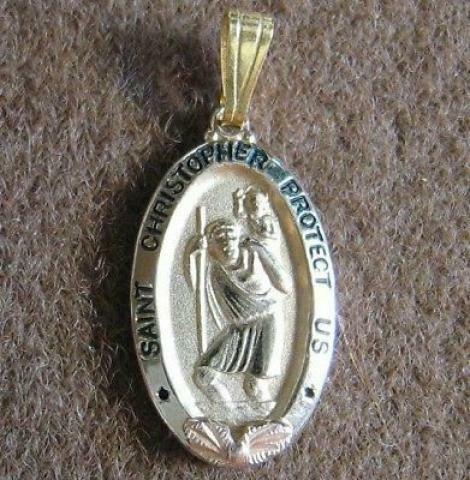 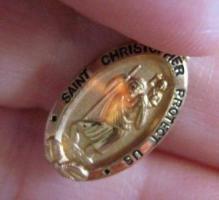 It features St. Christopher (well known as the patron Saint for protecting travelers), and is made from 100% genuine gold. Although I have looked closely I cannot quite make out the carat on the base of it, due to the fact that it has been worn away because of the age, and I think the bale has been replaced too. What I can say it that this is a gorgeous piece of jewelry, measures approx 1 inch in length, and apart from the wear of the back it is in excellent condition.